Public Interest Design » Nov: Raleigh, NC. This two-day course is presented by Design Corps, the SEED Network, the College of Design at North Carolina State University & The North Carolina Chapter of the AIA. Participants will learn skills and methods to effectively engage in community-based design through professional fee-based projects. The Public Interest Design Institute curriculum is structured around the Social Economic Environmental Design (SEED) process and metric, which provides a guide for practice, documentation, and showcasing of public interest design projects. Successful participants will earn 13 AIA/ASLA/USGBC/CLARB HSW CEUs/PDHs/AXPs and certification as a SEED Professional. Nadia M. Anderson is an Associate Professor of Architecture and Urban Design and the Director of the City Building Lab at the University of North Carolina at Charlotte. Her research, teaching, and practice focus on publicly-engaged design as a vehicle for social empowerment and environmental resilience. Prior to joining the UNC Charlotte faculty, Nadia was a member of the Architecture and Urban Design faculty at Iowa State University (ISU). 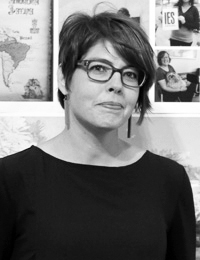 She co-founded and co-directed the Community Design Lab, an interdisciplinary engaged research practice, as a partnership between ISU Extension and College of Design. 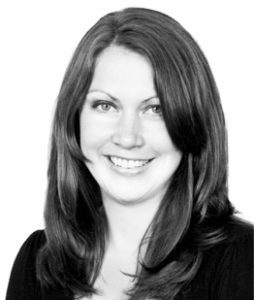 Nadia is a licensed architect, practicing in Chicago, Warsaw, and Vienna prior to moving to full-time academic work. She received her Master of Architecture from the University of Pennsylvania and her Bachelor of Arts from Yale University. Thomas Barrie, AIA teaches undergraduate and graduate design studios and history-theory seminars at NC State. 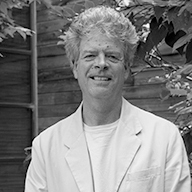 Professor Barrie served as Director of the School of Architecture from 2002 to 2007. Two parallel interests comprise Professor Barrie’s teaching, scholarship, and publication – both of which occupy the common ground of syncretic approaches to meaningful placemaking in the built environment. Professor Barrie maintains a critical architectural practice in Raleigh, North Carolina. Before joining NC State, Barrie was Professor of Architecture at Lawrence Technological University in Southfield, Michigan where he founded The Detroit Studio. He has also taught at the University of Manchester (UK), Manchester Metropolitan University (UK) and Roger Williams University in Bristol, Rhode Island. Bryan Bell founded Design Corps in 1991 with the mission is “to provide the benefits of architecture to those traditionally un-served by the profession.” Bryan’s current work includes Public Interest Design, which he pursued as a Loeb Fellow at the Harvard Graduate School of Design, the Harvard Kennedy School and the Harvard Business School. His effort to share ideas with the newest generation of architects led to series of conferences hosted at universities. Structures for Inclusion has been a forum for students and recent graduates to learn about grass roots efforts making architecture more accessible. Bell was chosen as one of two Finalists for the 2010 National Design Awards in Architecture in Collaborative Practice, given by the Smithsonian’s Cooper-Hewitt, National Design Museum. The work of Design Corps was featured in Smithsonian’s Cooper Hewitt, National Design Museum Exhibit “National Design Triennial: Design Culture Now” (2003), was included in the US Pavilion of the 2008 Venice Biennale, and was awarded the 2007 AIA National Honor Award for Collaborative Practice. 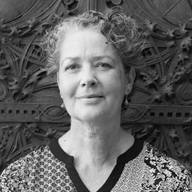 M. Elen Deming, D.Des, FASLA, is Director for the new Doctor of Design Program and Professor of Landscape Architecture at the College of Design, NC State. 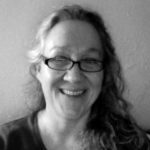 For 25 years she has taught studio design, history and theory, and research design, including former roles at the University of Illinois, Urbana-Champaign and SUNY College of Environmental Science and Forestry in Syracuse. 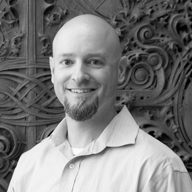 Deming has also practiced as a professional landscape architect (PLA) and is licensed in three states. Editor of Landscape Journal from 2006 to 2009, Elen has also produced three books and several articles. She currently serves as Vice President for Research on the Board of Directors of the Landscape Architecture Foundation (Washington DC). 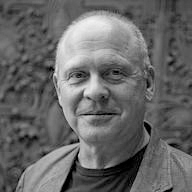 Andy Fox is a professional landscape architect (PLA), Associate Professor of Landscape Architecture, and NC State University Faculty Scholar. 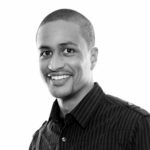 He is also the co-founder and co-director of the Coastal Dynamics Design Lab (CDDL), an interdisciplinary research and design initiative housed within the NC State College of Design that addresses critical ecological and community development challenges in coastal regions. 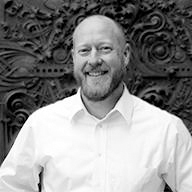 Andy Hill, AIA, is an Associate Professor of Architecture and Co-Director of the Coastal Dynamics Design Lab at the College of Design where he has taught full-time since 2007. While at NC State, he has led graduate and undergraduate design studios, digital representation courses, and seminars that focus on integrative digital simulation processes, architectural prototypes, and design strategies for coastal regions. Architecture Department at NC State University. DK Osseo-Asare is a designer who makes buildings, landscapes, cities, objects, and digital tools. He is co-founder and principal of Low Design Office (LOWDO), an architecture and integrated design studio based in Austin, Texas and Tema, Ghana, and design lecturer in engineering at Ashesi University, where he helps run the Ashesi Design Lab (D:lab). DK is a TED Global Fellow, Fulbright Scholar and received A.B. in Engineering Design and M.Arch. degrees from Harvard University for work in kinetic systems and network power. His research spans design innovation, open-source urbanism, digital fabrication and architecture robots. He led urban design for Koumbi City and Anam City new town projects in Ghana and Nigeria, and is co-founder of the Agbogbloshie Makerspace Platform (AMP), winner of the Rockefeller Foundation’s Centennial Innovation Challenge and 2017 SEED award for public interest design, for which he is the Africa 4 Tech Digital Champion for #Edtech. Eike Roswag-Klinge is the founder and partner of the firm Roswag Architekten in Berlin. http://www.zrs-berlin.de/. Through wide ranging discourse within communities and among experts Roswag Architekten considers, discusses and realizes global Architecture that strives to promote the use local natural resources. These materials facilitate the creation of comfortable and healthy dwellings that allow us to live in better harmony with nature. Through focused project work and selected competition entries combined with ongoing professional and team development, Roswag Architekten aims to use our growing knowledge and experiences to create a series of new dynamic solutions for the complex questions posed by an ever-evolving built environment. Focused, consequent projects, developed for the end user, lead to a high degree of acceptance and a long lasting satisfaction for all parties involved. Mr. Klinge-Roswag is the winner of the Aga Khan Award for Architecture in 2007 for the School in Rudrapur. The firm has also won the Holcim Award Gold in 2011. 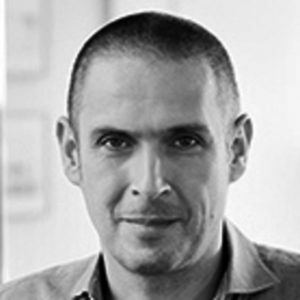 Mr Roswag-Kilnge has received the AR Awards for Emeging Architecture 2006 and a Fellowship from Villa Massimo, Rome, in 2013. 20 members of AIA North Carolina & AIA Triangle, & 20 students, courtesy of the chapters & the College of Design at NCSU. Please include your ID number in your registration form, and please remember to bring your ID with you when you sign in at the door.